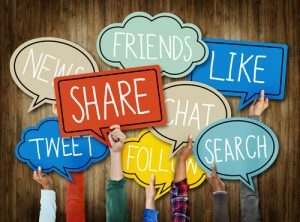 Today, the most informal and ironically personal way to connect with a person is through the use of social media. The phenomena of social media started with MySpace in August 2003. It was used as a casual platform for people to be the star of their own webpage, and then it evolved into a way for users to communicate with one another, and even meet new people in real life. The Internet began in the late 80s, but it wasn’t until the year 2000 when it actually went mainstream. So as there were plenty of users and even well-known reporters like Katie Couric and Bryant Gumbel on the highly rated Today Show trying to figure what the Internet was all about, “Generation X” was well on their way to utilizing it as the new telephone. Like all new technology, the uses of the Internet didn’t come without its drawbacks. Bullying – Student’s now use social media as a way to bully classmates. For their victims, the horror doesn’t stop when the school bell rings. They are constantly harassed by their schoolmates that escalate to outrages incidents like physically fighting one another and posting the video online for the world to see. Suicide has sadly become a solution for some of these victims who feel like there is no safe place to go. This type of social media offense isn’t limited to middle school and high school students either. This type of dysfunctional behavior has also been known to carry over to colleges and universities. Catfishing – Catfishing is another level of predatory social media offenders. Here, the offender actively seeks out his/her victim disguising himself or herself as someone else. There have been many who may have already received emails from a person or institution claiming that he or she is the recipient of an exaggerated lump sum of money. The only thing they must do is provide personal information like their social security and bank account number promising to deposit this alleged amount of money. Yet that never happens. Catfishing is very similar, but the offenders use social media instead of email correspondence to catch their prey. The most famous Catfishing incident was with the college football player Manti Te’o who believed to have been dating a woman online only to discover that the ‘woman’ was actually a man—someone he knew! This offender played on Te’o’s emotional heartstrings creating a story that this ‘girlfriend’ was terminally ill and had died. Te’o’s humiliating experience became national news, but he recovered. He now plays as a linebacker for the San Diego Chargers. Not everybody recovers from social media offenders. Not everyone is able to land his or her dream job after such an incident. When it comes to social media, content that is posted lasts forever and cannot be erased—even if one believes that is what they’ve done. Sometimes, it cannot always be helped what someone posts about another person. Other times, it can. College students especially should take great caution as to what they are posting about themselves and others on social media. MySpace’s success could not be ignored. Businesses and corporations began to take notice of social media’s impact and got on board. In February 2004, Facebook was created, offering a cleaner and professional look, making it attractive enough for business professionals to create an account, giving them visibility in the world of social media. This is what college students need to take note of. These businesses and corporations could be potential employers. If they are not potential employers, they might be potential internships. Like any business, before hiring for either a permanent position or internship, they will conduct a thorough background check. These days, that means social media profiles. It used to be in order to qualify for a job or internship, one must look good on paper. Oftentimes, thorough interviews are conducted for employers to get an idea of the applicant’s overall personality to see if he/she fits in with the company culture. Nowadays, all an employer needs to do is find an applicant’s social media profile. Posting partying pictures doesn’t seem like a good idea anymore, does it? Florida National University (FNU) wants our students to enjoy their academic career with us, but we also want them to remain safe, be smart about it, and be successful. Educating our students and making them aware of the type of dangers that social networking can bring about will equip them to make smarter choices when engaging in any social platform. Register at FNU Where You are Empowered! 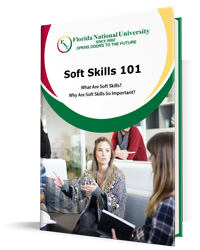 Florida National University (FNU) is dedicated to improving our students’ academic studies and social interactions skills to make them a top candidate for hiring. If you are looking for a university that helps you become the best you can be, apply to FNU today and contact one of our admissions advisors now!